We are located in Miami, Florida. Our company STONEXCHANGE is one of the most reliable and trustworthy stone flooring and accessories company. We manufacture, import and keep in stock a wide and varied range of marble window sill and flooring products and accessories in various sizes and colors. The products that the Euro Beige Threshold Supplier Florida have in stock and deliver all over the United States are perfect for commercial establishments. Flooring contractors and companies on the lookout for high quality, competitively priced products will definitely find the kind of marble shields and thresholds they need. These products not only serve the particular purpose for which they are installed, they also enhance the beauty and ambiance of the space in which they are used. Absolute Black Granite, Carrara Marble Window, Crema Sahara Marfil, Travertine and Pure White Thazoz are the 5 most popular and sought after stones for decor. Window sills and thresholds made of these are available in different sizes and finishes and they are sent to different parts of the country through nationwide shipping companies. The products are delivered in containers, such as crates every month. These window sills and thresholds are not sold in small quantities. This can be a problem for contractors who do not need many pieces. When such individuals contact us, we direct them to the retail flooring product companies that we sell to. For this service, Euro Beige Threshold Supplier Florida does not charge a fee. A huge list of such products are processed, manufactured and imported from quarries situated overseas and are delivered across the country. The stones and colors are carefully selected. The years of experience and knowledge of the market and current trends help us figure out what kind of products are in demand and we stock accordingly. The huge distribution center in Miami, Florida is a 18,000 SF warehouse and has on an average, inventory for 40 containers of marble sills and about 50,000 pieces of floor thresholds. Small to midsized contractors and dealers whose requirements range from 50 – 100 pieces to 1000 pieces have their materials delivered through crates. Normally, two crates are shipped a month to dealers who fall in this category. The materials that are needed for retail sales or contracts are shipped the same day. Orders that exceed 1000 pieces are delivered in containers. Contractors, flooring businesses and tile distributors who in turn sell or need over 2000 – 3000 pieces of sills and thresholds are the ones who usually receive their orders in containers. This Euro Beige Threshold Supplier Florida fills orders for hotel projects, multifamily projects and the like. One of the greatest advantage of ordering the materials from us and not importing them is that the dealers need not wait months for delivery. There is also no guarantee that the window sills and thresholds ordered will have a market if they arrive two to three months later. The dealers not only save time but also save themselves trouble by placing orders through this outlet and the materials are delivered promptly. This is not only a reliable way but also a very cost effective way to get the window sills and thresholds one needs. The prefabricated window sills and thresholds are not manufactured locally and every single product is imported from the quarry where it is manufactured. Euro Beige Threshold Supplier Florida also accepts orders for special sizes and other custom requirements. The custom orders are processed in their quarries situated overseas and delivered within a stipulated time. We do not charge an extra fee but the order must be above a fixed minimum quantity. We also deal in natural stone tiles. Unique signature natural stone projects are now a reality thanks to us. The quarries, the stone factories and shipping companies, they are affiliated with ensure that buyers get the kind of pavers, tiles, mosaics, slabs, soap shelves, shower caddies and much more in the exact models that they want. The window shields that form the ledges fixed to the bases of window frames are increasingly being used by commercial establishments. They are not only used to serve the purpose for which they are placed – stop water from seeping in – but also to add to the beauty of the windows. A good marble window sill increases the look and ambience of any room and without a doubt increases the value of the property. The window sills are manufactured keeping in mind the three standard window sill lengths. The three normal lengths are 36”, 56” and 74”. The normal thickness of window sills are 5/8”, but if a minimum level quantity or more is ordered and if the dealer is willing to wait for two to three months, then window sills with ¾” thickness can also be manufactured and delivered. The depth of window sills vary and accordingly, we have in stock window sills that vary from 3” to 12” deep. The window sills we have in stock are perfect for interior use and can also be used for shower curbs. There are also those that are designed specifically for showers; their lengthwise edges are beveled, polished and look great when fixed as wall caps or shower curbs. Travertine, Crema Sahara Marfil, Nuevo Carrara White, Absolute Black Granite and Pure White Thazoz are the five stones from which window sills are fashioned. Carrara White Marble window sill is made of white stone and is veined with pale gray. 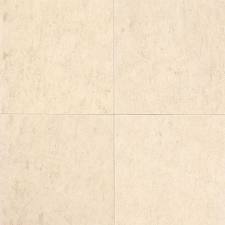 Travertine, a kind of limestone is valued for variegated patterns and colors that include ivory, cream, tan and brown. 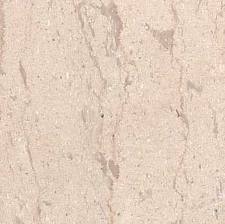 Crema Sahara Marfil is quarried in Spain, is creamy colored and widely used for both private and commercial establishments. It is finely-grained with minimal veining and variegation. Black Granite has three times the strength of cement and is perfect for long lasting window sills. The light flecks of gray in it give it a highly sophisticated look. These stones are preferred and in high demand by contractors and designers because of their natural and neutral appearance. They also blend perfectly with most flooring. The window sills in marble that are sold by this Euro Beige Threshold Supplier Florida come with different finished edges and add style to windows. Stone window sills are fragile and require specialized packing and shipping. Orders are packed in strong wooden crates and are shipped cautiously to all parts of the United States. The marble thresholds are either beveled on one side or both sides. Each has its own use and our website gives clear descriptions of these with pictures and diagrams. We also give detailed information about the kinds of thresholds and window sills needed for various projects. On the website, the different types of thresholds, the different dimensions and just about everything one needs to know about thresholds before placing an order are given in detail. The thresholds are processed and manufactured to meet the standards fixed by ADA. The marble sills and thresholds inventory section gives the list of sizes in stock. Dealers can order them online by filling in the contact form. Once a distributor’s specifications from earlier orders are on file, then it is easy to place subsequent orders. The regular window sills and thresholds as well as ones that have a not so common dimension, finish and color are kept in stock to be shipped immediately. The product showcase section displays the photos of our products and a click on each stone gives an enlarged and clear view. Marble thresholds are also sold in bulk. They are sold in batches of 50 to 200 pieces and such orders are shipped in crates. Thresholds are very fragile and require special packaging to reach the warehouses of dealers with the bare minimum damage. 10% damage to products is normally accepted therefore, while placing order, dealers have to take this into consideration and place orders accordingly. Products are packed in strong wooden crates and to prevent the thresholds from damaged by scratching against each other, they are separated by polyurethane sheets. The crates are also bound by poly-straps for maximum safety. These stackable pallets not only help save space in warehouses but also reduce shipping costs. There are numerous companies that sell marble sills and thresholds but getting them from established businesses that are professional, reliable and promise what we deliver in terms of quality and cost is important. The best in the business not only deliver quality products at the best possible rates but also deliver on time. Euro Beige Threshold Supplier Florida is an established and reliable wholesaler that guarantees satisfied customers and an increase in their sales and profits. Our website is the best place for retail sellers to get all the information about products. Retail dealers in stone window and floor products and accessories should visit our site today to see all that is in stock and contact us for a rewarding and long lasting business association.